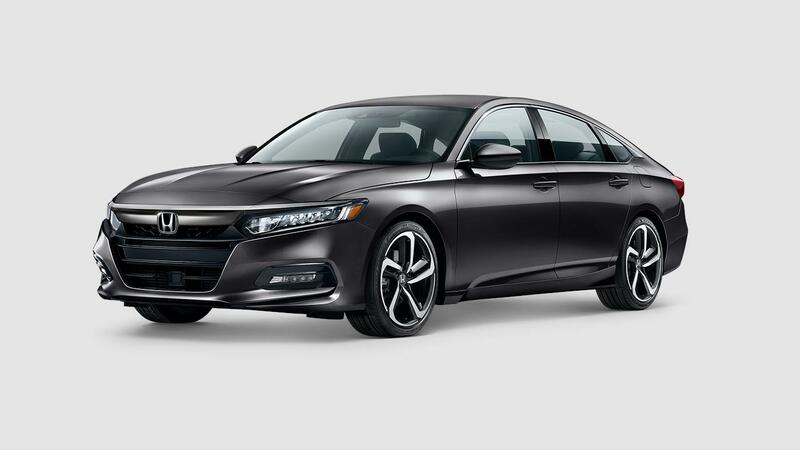 The very mention of the 2019 Honda Accord Sedan Sport evokes images of a well-built and stylish four-door family vehicle. Honda has always prided itself on reliability and forward thinking when it comes to the engineering and design of their automobiles. The 2019 Honda Accord Sedan Sport drives this point home. The interior is jam-packed with all the latest in high-tech gadgets, creature comforts, and advanced safety equipment. Rock Honda is open late seven days a week, making us the ideal spot to find a new 2019 Honda Accord Sport Sedan for sale in Fontana, CA or in the Inland Empire. Our exceptional sales team is standing by when you are ready to test drive a 2019 Honda Accord Sedan Sport near San Bernardino, CA and near Rancho Cucamonga, CA. Stop by today and check out our vast 2019 Honda Accord Sedan Sport inventory near San Bernardino, CA. As soon as you delve into the interior of the classically designed 2019 Honda Accord Sedan Sport, you will discover a world of comfort and convenience. Driving comfort and exceptional grip comes to you compliments of a standard equipped leather-wrapped steering wheel and leather-wrapped gear shift knob. The driver’s seat boasts a 12-way power-adjustable seat with adjustable lumbar support. A massive 8-inch touchscreen display is mounted front and center for your convenience. This advanced piece of technology includes Apple CarPlay® and Android Auto® integration. 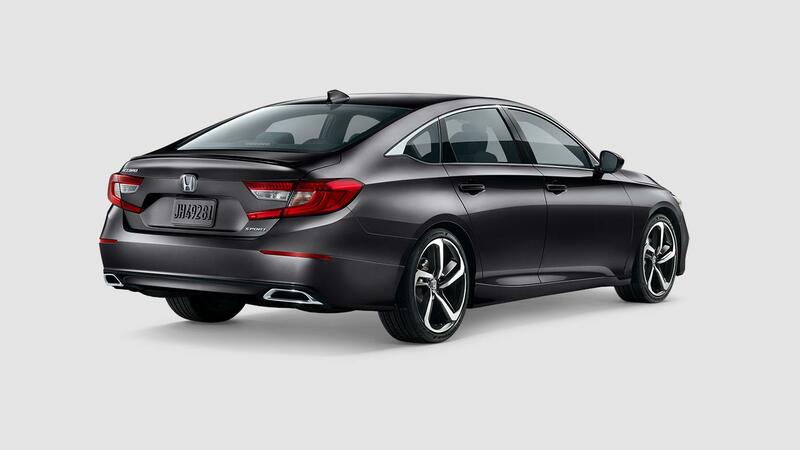 Unique exterior features of the 2019 Honda Accord Sedan Sport include a decklid spoiler and dual chrome exhaust tips. Come and see the awesome 2019 Honda Accord Sedan Sport up close and personal; it’s the only way to truly appreciate its grandeur. Stop by and visit our team today at Rock Honda in Fontana, CA and drive away with one of these racy beauties of your own. Style and function are two very important features of the 2019 Honda Accord Sedan Sport. However, the really majestic part of the Sport is the power provided by the choice of two robust engines. This begins with the standard 1.5-liter turbocharged and inter-cooled DOHC, four-cylinder engine. This powerful engine delivers up to 192 horsepower and 192 lb.-ft. of torque. If you want to take a considerable step up to 252 horsepower and 273 lb.-ft. of torque, you may consider opting for the turbocharged 2.0-liter direct injection, four-cylinder engine. Both of these engines come with a choice of a six-speed automatic transmission or a 10-speed CVT automatic transmission, which includes steering wheel-mounted paddle shifters. Come by Rock Honda anytime, seven days a week, to take an exciting 2019 Honda Accord Sedan Sport for a spin around the block in Fontana, CA.